The first contract awarded Thursday is for the construction of the Preschool and improvements to Scarboro Park. It is worth up to about $8.4 million. The Preschool is expected to be complete by November 30, 2019. 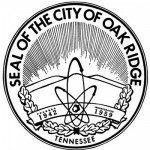 The second contract is for the construction of the Oak Ridge Senior Center. The contract is worth up to roughly $2.68 million. The Senior Center would be built just west of the Oak Ridge Civic Center in Alvin K. Bissell Park. It is expected to be complete by October 1, 2019. Both projects have been discussed for decades. The current Preschool is on New York Avenue in a building that is about 70 years old. The Senior Center is now temporarily housed in the Oak Ridge Civic Center. “This is a long road we have been on,” Oak Ridge City Manager Mark Watson said before the vote on the Preschool contract. Now the project is coming to fruition, he said. “This has been an interesting journey, and we are at the end of it today, I hope,” Oak Ridge Mayor Warren Gooch said. A precise date hasn’t been set for the start of construction and site work, but it could be in November or sooner, depending upon variables such as finalizing the construction contracts and the Jenkins and Stiles timeline.